What Is Hot Oil Manicure? The popularity of the hot oil manicure has sky-rocketed in the last decade, and needless to say, it lives up to its claims. The hot oil manicure is basically the most luxurious, relaxing, and expensive nail treatment you can ever opt for your dry, flaky, ribbed, and even severely damaged nails along with cuticles and rest of your hands. 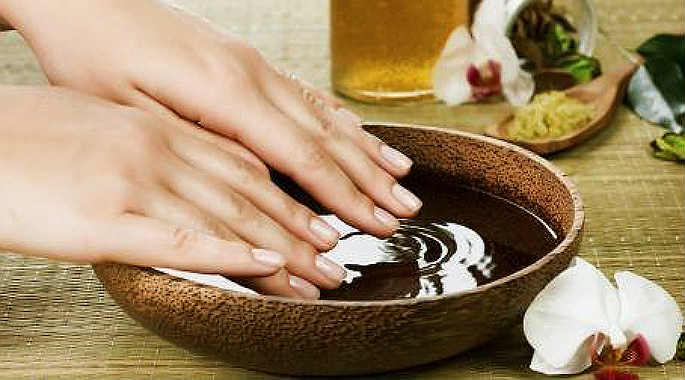 The best thing about this special kind of manicure technique is that it uses a heated mixture of nourishing natural oils (olive oil, almond oil, castor oil, coconut oil, sunflower oil, sesame oil, mineral oil, tea tree oil, vitamin E oil etc.) for soaking the fingers up. The unique oil blend can be customized and prepared based on the requirements of the individuals for cleaning nails, softening cuticles, and providing nourishment to both of them. How To Do Hot Oil Manicure At Home? Take a large microwave-safe bowl and pour 1(1/2) cup of pure almond oil into it. Add (1/2) cup of sunflower oil and (1/4) cup of castor oil to it. Pour (1/2) cup of organic olive oil and 10-15 drops of tea tree essential oil into the bowl. Also, puncture a vitamin E capsule and add its content to the oils. You may replace vitamin E capsule with 1 tablespoon of pure vitamin E oil. Mix all the ingredients together very well to form a smooth uniform blend. Microwave the oil blend for 30 seconds so that it becomes warm and thin enough to penetrate the skin. Make sure that the temperature of the mixture remains bearable instead of being too hot. Take the bowl out of the microwave and dip your fingers in the warm oil blend gently. Soak them up until the oil cools off. It might take 4 to 5 minutes for the oil mixture to cool down completely. You can reheat it once more for 20 seconds if you enjoy the dipping session. After the oil blend cools down, take your fingers out of it and massage them (including the nail beds, nail edges, cuticles, and the wrist areas) thoroughly with some more oil. Continue it for 5 to 7 minutes. Finally, finish off the procedure by washing both of your hands with plain tepid water and drying them up with a soft clean towel. Apply a light moisturizer all over your hands right after going through the hot oil manicure. 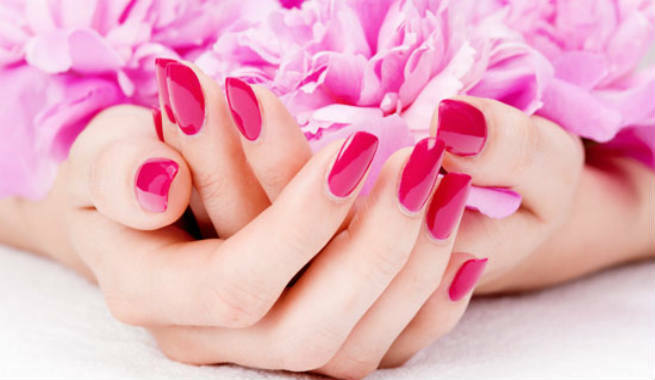 Give your nails a standing time between your hot oil manicure and application of nail polish. Stay away from all sorts of soapy products at least for next 5-6 hours. 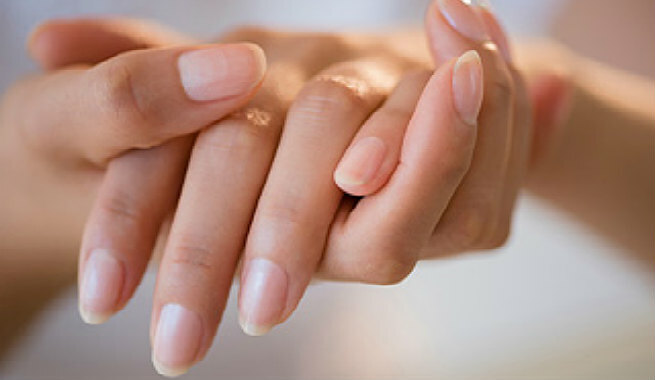 Practice this manicure twice every week before going to bed for ensuring the maximum benefits. Exfoliates and detoxifies the nails and the cuticle. Gives cleaner, whiter, and stronger nails with more delicate and healthy cuticles. Makes the skin on the fingers and around the nails, softer, smoother, and more pliable. Improves the hand skin texture and makes it glowing over time. Nourishes the skin and nails from the inside, thereby slowing down the process of aging. Promotes blood circulation throughout the hands. Keeps all sorts of hand skin problems at bay, especially in the long run. Makes the removal of hangnails much easier. Increases the flexibility of fingers and wrists considerably. Helps the nails as well as the hands exude beauty and elegance. In a nutshell, the hot oil manicure is an expensive choice, but it is worth every penny spent. Trust us ladies!